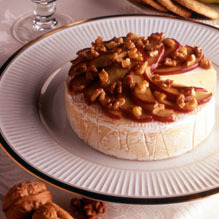 Brie and ripe fruit are a classic pairing; add nuts and you have an outstanding combination of flavors. 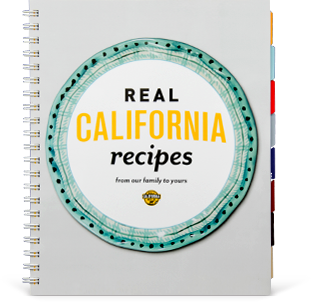 This easy entertainer is versatile, making a delicious appetizer or a dramatic statement as the final course to a meal. Melt butter in 10-inch nonstick skillet over medium heat. Add apple slices and sugar; saute, tossing occasionally, until apples are soft and golden brown, about 12 minutes. Let apple slices cool slightly. Carefully place chopped apple or fan apple slices over cheese; sprinkle with walnuts. May be served right away or chill if to be served later. May be prepared several hours in advance. Serve at room temperature, accompany with assorted crackers and bread slices.